MELVILLE, NY According to The Rochlin Org., Matthew Boyd has joined the firm as a full-time real estate salesperson. The Rochlin Org. specializes in commercial real estate ownership representation and represents just under 3 million s/f exclusively. 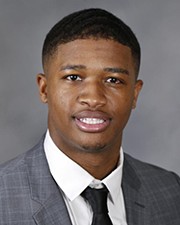 As a collegiate athlete, Boyd played college basketball as a starting point-guard with Mercy College, Manhattan Community College, and finally SUNY Oneonta before deciding to build a career in the commercial real estate arena. Boyd most previously worked in retail and began advancing into management before deciding to focus on his career in commercial real estate. He stays active in the community helping train youth basketball players in developing skills and confidence on the court.